Our current solution to apples that start to soften (just bake them into a pie) has been working darn well. But a new method could give us apples that stay crisp for several weeks. A team of researchers used a specially designed plasma tool, based on one that had been used in hospitals to disinfect wounds, to wipe out the bacteria on the surface of the apple. They found that, when given a blast with this tool, the apples stayed fresh for considerably longer. Their results are published today in a paper in Physics of Plasmas. Of course, it’s already been possible to give apples a pretty long shelf-life. 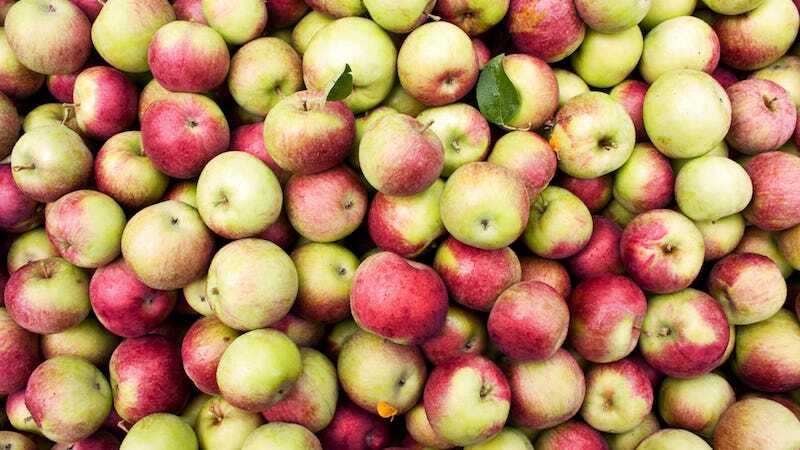 Apple-growers use everything from just plain cold storage to chemical treatments designed to slow ripening, which can give apples shelf lives of several months not weeks. Still, this new tool could have applications beyond apples. This research team is currently looking into how they could use the tool over a much bigger selection of fruits and vegetables to keep them fresh as well.